Got a quote to trade in or sell your old smartphone and feel like you could maybe earn more? If your new dream mobile phone deal is a Sony, then you could be right. The tech giant has just started a new trade-in scheme which is offering double the value of your old mobile phone. 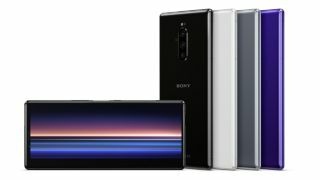 The trade-in value is dished out in vouchers which can be used when trading in your old phone to buy a Sony Xperia smartphone and the vouchers can be spent on anything from Sony. As long as you follow the instructions on Sony's site, you can splash the vouchers on TVs, headphones, speakers and more. So how much can you claim? Probably more than you'd imagine. For those with an iPhone X, for example, you could get up to £900 in vouchers, which is enough to save you a massive chunk off a brand new Sony AF8 4K HDR OLED TV. Got an iPhone 7 128GB to trade? That'll get you £340 in vouchers, covering for a brand new pair of Sony WH-1000XM3 Wireless Noise Cancelling Headphones. You get the idea, there's lots of good stuff up for grabs – all of them are listed here. You could also get the cash value for your old phone but then you'll only be getting half the amount, so it makes sense to go for the vouchers if you know that it's Sony deals that you have your eye on.